Click the links below and snap one up before the are gone. The 1966 world tour was a grueling set of shows for The Beatles. 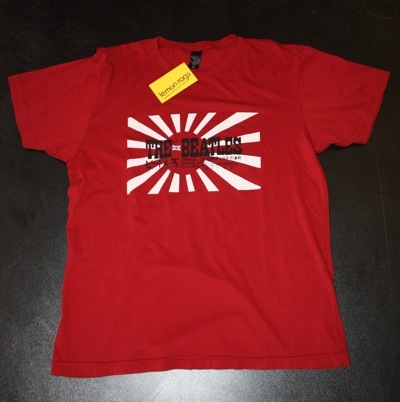 Before coming to America, they played their first set of shows in Japan. 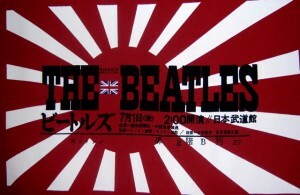 The sale of Beatles’ albums were highly successful in Japan. It is interesting to note that Japan has the largest Beatles catalog of records than any other country. When The Beatles arrived in Japan they were under the tightest security they ever experienced. The Japanese military guard protecting The Beatles was so uncomfortable that they felt like prisoners in a foreign land. The shows they played in Japan were staged at the Nippon Budokan. Unlike the fans in the U.S. and Europe that went wild at their shows, the Japanese fans sat quietly and applauded appropriately. 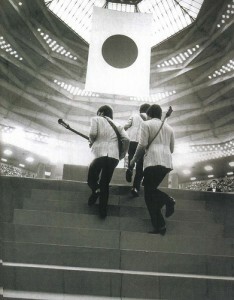 This was the first and last time The Beatles would play Japan.